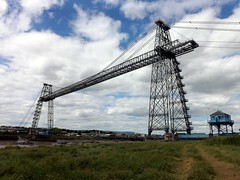 There were a couple of things I wanted to see and photograph on the way home, the Tamar bridges and the transporter bridge at Newport. If I got to see the transporter it would be three transporters in one year, our own over the Tees, the one in France over the river Charente in Rochefort and the one in Newport over the River Usk. First stop than was at Saltash or Saltmill, down to the river Tamar to see the bridges from there, just my luck, Brunel's rail bridge was covered in scaffolding and tented out for work. The work on Brunel's bridge even spoiled the photo of the road bridge. With a very disappointed me, we continued on our long drive home. The traffic out of Devon was very slow but we turned out of the traffic jam towards the next bridge, over the river Seven in Wales. 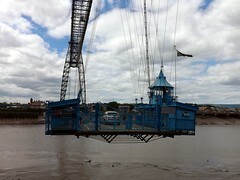 I thought I might get photos of the two Seven crossing bridges but it was not to be. I did however get some good shots of the transporter and if we had more time, could even have crossed over the river and back again. 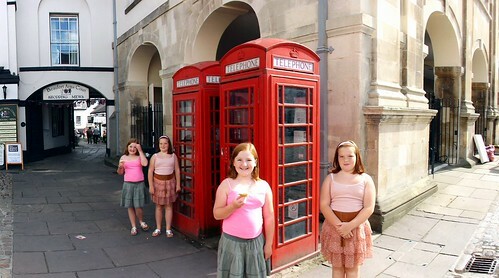 Our next stop was in Monmouth for lunch but it was very busy and parking spaces were sparse. We got parked and found a nice pub for food and while we waited for the food to arrive, I set off to find an interesting looking bridge we has passed on the road into the high street. 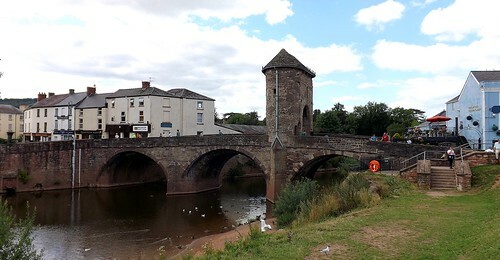 Monnow Bridge across the River Monnow, is the only remaining mediaeval fortified river bridge in Great Britain with its gate tower still standing. After a nice meal and a new beer and while the girls had an ice cream, I had a mess about with the panorama setting on the camera. Monmouth looked like a very nice place and well worth another visit sometime. From there it was still a long journey home and a painful one for me.